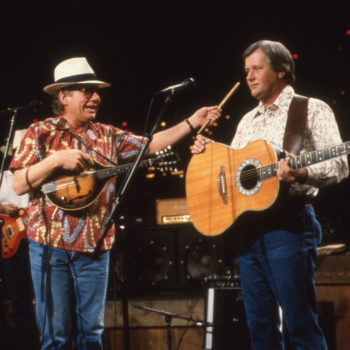 Austin City Limits was disheartened to learn of the death this weekend of Raymond D. Smith, AKA Son Geezinslaw of ACL three-timers the Geezinslaw Brothers, nearly a year after the passing of his partner-in-crime Sammy Allred. He was 77. The Geezinslaws performed on ACL in 1982, 1986 and 1989. Below is a clip of the duo putting their own spin on My Fair Lady’s “On the Street Where You Live,” preceded by Allred paying tribute to his poker-faced compadre in his own unique way.